Past week was very special for us. 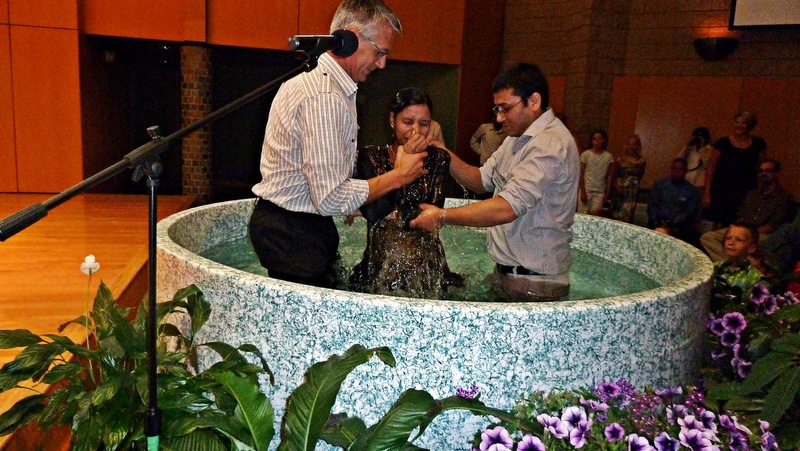 I had an honor to be a part of baptism of a couple in our church. 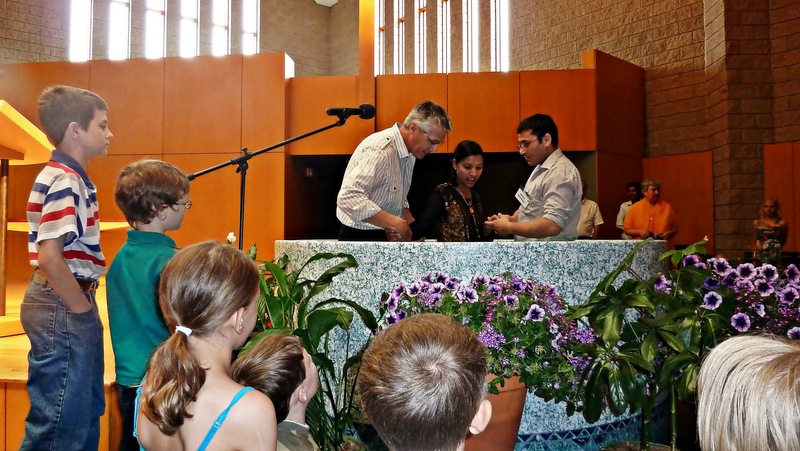 They have been attending our church, since they came in the States through Third Country Resettlement Program. After working among Bhutanese community for more than a year through evangelistic outreach and teaching, our toil did not go in vain. Prem and BuddhaMaya came to the Lord and accepted Jesus as their personal Lord and Savior. 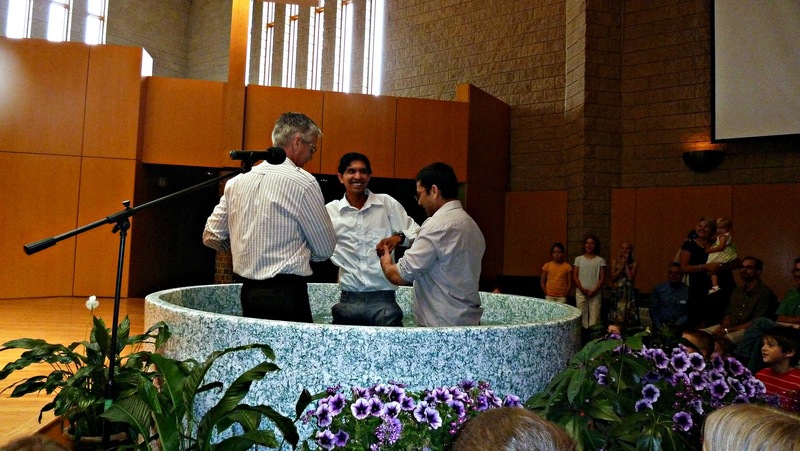 It was such a joy that I was full of emotions while I was helping my pastor in the process of baptism. They both have wonderful stories to tell the congregation. “I was ousted from my birthplace by the worldly king of Bhutan,” noted Prem “but accepted me by the King of kings in his kingdom.” There was a big applaud that filled the four walls of the church building shortly after their personal testimony. To make this thing happen, many lives have invested their genuine prayer, treasured time, and cherished godly love and care for them. God answered the prayer of his people. Now we are seeing God’s work in their lives. When someone gives his/her life to Christ, you will have such a joy that overcomes all the hardship you have gone through in the ministry. I hope that some other folks also will give their lives to Christ in near future. Keep praying.